Apple unveiled the curtain off of their newest firmware update naming it iOS 7 and its been the massive update thats been ever released from the tech giant. Although, iOS 7 has got some issues, another OS probably is in the making in the cooking section of Apple. Last year, the spotlight was on the release of iOS 7 since rumors had it.it’ll be the biggest update from Apple anyone has ever since and so was it. The iFans went crazy and appreciated the effort of Apple which they put out in parallel with the release of iPhone 5S and iPhone 5C. 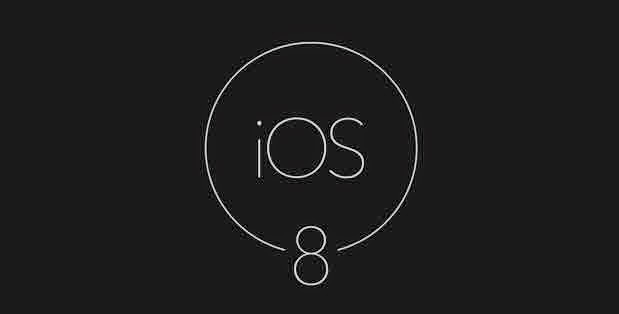 This year, we might not see a huge change but rumors have it that we’re going to see a lot of changes in the making of new update from Apple.Which would be called as iOS 8.New apple firmware i.e iOS 8 release date is not specify that june 2 would be the day where we will see some excellent functions & hopefully some relief as well in latest Ios os.It is also expected that the new update will be packed with New iPhone 6. According to the past releases from Apple, we’re quite certain that they’re taking the steps forward to release their new updated iOS 8, weeks before the release of much awaited iPhone 6. iOS 6 and iOS 7 were released just before the unveiling of iPhone 5 and iPhone 5S respectively. So, we made our assumptions based on the previous facts. Also, Apple has their Annual Developers Conference in June 2 and we’re pretty sure Apple will reveal some stories for us about their plans. Apple won’t change its UI within the update of iOS 8 since in the last OS, we saw a fully functional new set of UIs that weren’t seen earlier. Without compromising with the flaws of iOS 7, Apple will put all of their effort to empower more efficient software functionality in their smart devices. Since the launch of Apple Maps, it received a lot of negative feedbacks since they offered their services poorly. But, now the Apple Maps has received major improvements and it’s ready for another roller-coaster ride around the consumer world with its public transportation system. Though, it’s impossible for Apple to make this huge world so smaller by their App, they’re going to take time to show Maps App. Apple’s Siri was always the best option when anyone asked for voice-aided personal assistant of a smartphone. Google, Microsoft already debuted their way into the hands of running personal assistant and Apple is putting lots of specialists to keep ahead of the war of Firmware Updates. Lots of improvements will take place on the different features of iOS 8. Apple is currently targeting on the Fitness solutions for their smartphone owners. Apple’s HealthBook app is designed in such a way that can improve the way you’re trying to lose weight and keep you on the pedestal of being in shape. According to the rumors, next generation sensors will be introduced that can track levels of your blood pressure, monitor their activities and control the food they are taking up. When it comes to security, Apple doesn’t consider any flaws. So, they’ll introduce tougher security system to help the users encrypt the data safely. Let’s wait and see what Apple will bring for us.